Mention Pago Pago to most South Pacific travelers and the response will often be a blank stare. When it comes to reputations, American Samoa and its capital are, well, sort of unknown. One reason is that American Samoa is well off-the-beaten track of overseas airline routes. Another is that the islands are far from major population centers. 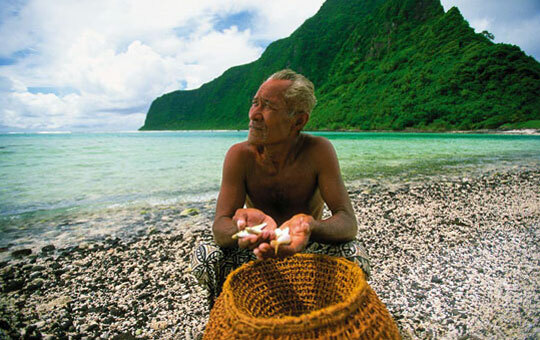 In truth, though, that’s part of American Samoa’s attraction and charm as a destination. American Samoa is located in the heart of Polynesia, half way between Hawaii and New Zealand. To reach this unique American territory, you must first fly to Hawaii, and then take another five-hour flight to the islands. 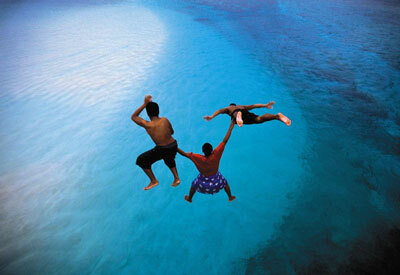 You can also reach it from Independent Samoa, which is just a 35-minute-flight away. American Samoa includes five volcanic islands and a couple of remote coral atolls. Tutuila is the main island; Aunu`u is a small island about a half-mile east of Tutuila. The Manu`a Islands, Ta`u, Ofu and Olosega, are located roughly 62 miles (100 km) east of Tutuila. Tutuila covers an area of 56 square miles (145 km²). It’s roughly 18 miles long (30 km) and 6 miles wide (10 km) at its widest point. The island is a series of steep rain forested volcanic peaks and ridges, indented with valleys and bays. Fjord-like Pago Pago Harbor is a submerged volcanic crater almost bisecting the island. It’s one of the most scenic harbors in the South Pacific, surrounded by green hills and dominated by 1,718-foot-tall (518 m) Rainmaker Mountain. The climate is tropical — warm, humid and rainy the year around. American Samoa became a U.S. territory in April, 1900. Before and after World War II, Pago Pago Harbor was an important refueling port for the U.S. Navy. The population numbers about 55,000, most living on Tutuila. The territory’s visitor industry is small by most standards. 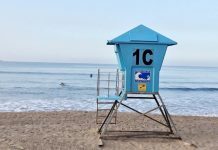 All hotels and accommodations are locally owned. Visitor arrivals total around 6,000 or so annually, so you can always find a nice place to stay. Many who come for the experience find it a relaxing and adventurous place to visit, with great natural beauty. American Samoa’s economy is driven by the government, one of the largest employers. The territory gets considerable support from the U.S. government in annual grants and subsidies. The Samoa Packing and StarKist tuna canneries at Pago Pago Harbor represent American Samoa’s largest primary industry. So what to see and do in American Samoa? If you’re looking for an original American Samoa experience, go no further than Tisa’s Barefoot Bar at Alega Beach, a few miles east of Pago Pago Bay. This is a typical folksy South Seas watering hole. The bar’s open-air deck is built on pilings over a beautiful sandy beach with a lovely view of the surrounding green hills and bay. Take a table and enjoy the view as you enjoy a Vailima beer (the local product from Samoa); light lunches are served as well. If you’re lucky, Tisa herself will be there to greet you and “talk story” a spell. Fagotogo, the main business and government center of the territory, is next to Pago Pago. The Fagotogo public market is a great place to view a cross-section of American Samoa, especially on a busy Saturday morning. There is island produce, veggies, tropical fruits and fish for sale, as well as authentic Samoan handcrafts. The National Park of American Samoa includes sections of three islands: Tutuila, Ofu and Ta`u. On Tutuila, the park includes the mountain ridge to coastal section north of Pago Pago Bay and the area surrounding the village of Vatia. A section of Ofu’s pristine shoreline and fringing reef is protected as a marine sanctuary within the national park. The southeastern half of Ta`u is part of the national park, and features 3,000-foot-tall sea cliffs, some of the tallest in the world, as well as native bird and plant species. Visits can be arranged at the National Park of American Samoa Visitor Center, at the Pago Shopping Plaza. If you’re a hiker, one of the best hikes is to the TV transmission towers atop 1,600-foot (488 m) Mt. `Alava, above Pago Pago Bay. The hike takes one through the rain forested hills of the National Park of American Samoa. The half-day trek follows the ridgeline high above the bay and provides great views of Pago Pago Harbor and Rainmaker Mountain. Visitors can also rent a car and drive to the east and west coasts of Tutuila. The coastal road zigs and zags its way up the coast, following bays and coves along the way. The road passes by deserted white-sand beaches and through quiet, tranquil villages, typically with one or more large churches and several traditional-style fale, or meeting houses. 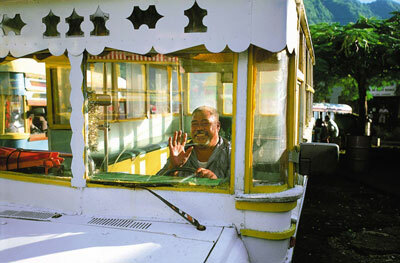 Another transportation option is to take one of the colorful Aiga buses that crisscross the island. Off the eastern shore, ferries shuttle passengers a half-mile (.8 km) across the water to the small island of Aunu`u, a good island for explorations on foot. The eastern road terminates at the village of Onenoa. From Pago Pago, the road west heads through Nu`uuli to Tafuna, near the airport, and across the flat southern plain. Several roads here branch off to villages. The road extends west to Leone, site of a World War II airstrip, and into the hills surrounding the coastal villages of Amanave, Poloa and Fagamalo, where the road terminates. There are several scenic viewpoints along this coastal drive, with secluded coves, waterfalls and a few beaches. At dusk, watch the forests and coastline for “flying foxes,” fruit bats that take to the air for nocturnal foraging. Sunset skies here are filled with dozens of the airborne mammals common to American Samoa. Hawaiian Airlines currently provides the only overseas air service to Pago Pago International Airport from Honolulu. Polynesian Airlines links Pago Pago with neighboring Apia, Samoa, with connections to Hawaii, New Zealand and other destinations.